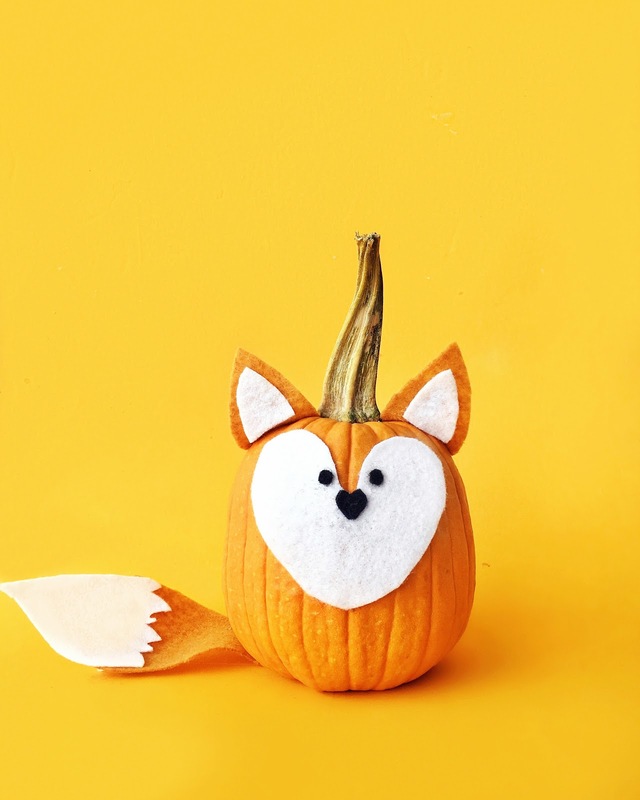 DIY No-Carve Fox Pumpkins / Hey, EEP! 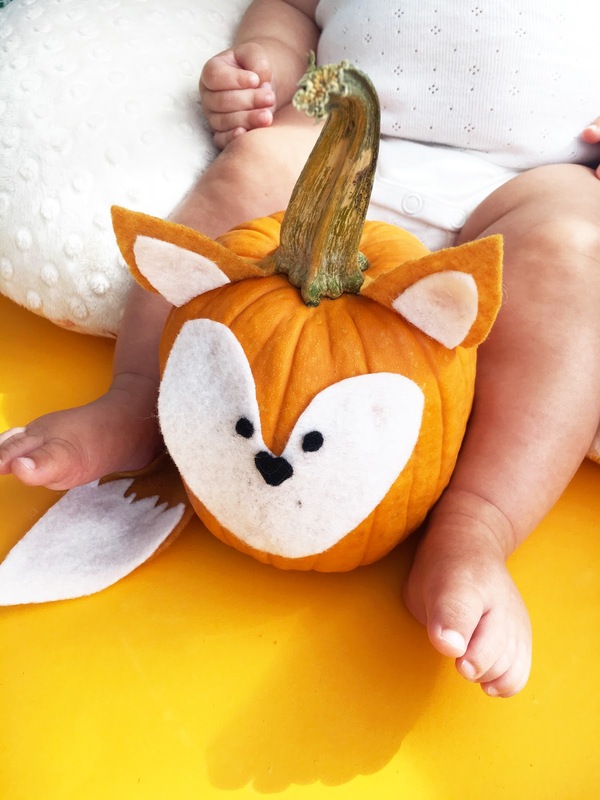 So since she won't be dressed as a fox, I thought a homemade pumpkin might be a cute DIY Halloween decor idea for her nursery. This is a super easy, fast project. I made this no-carve pumpkin in literally 5 minutes with things I already had around the house. Honestly, I feel like the woodland creature theme is so hot for baby rooms right now, you could totally make this with a funkin (those fake pumpkins you see at Target and Michael) and just keep it as DIY decor all year round. Anyway! I hope you enjoy this simple tutorial. Here are the instruction written out below. 1. Put the pumpkin on a piece of paper to protect your work surface. 2. Cut out a heart-shaped face from the white felt using scissors. Attach to the pumpkin using a hot glue. 3. Add 2 eyes and a nose using black felt or a permanent marker. 4. Cut a tail and 2 ears from the orange felt. If desired, cut 2 smaller ears and a furry tail-end from the white felt for detailing. Attach to each other and to the pumpkin using hot glue.